protecting the environment with BOSS NOVUS . . . . . . the professional’s choice! BOSS NOVUS supply high quality socially and environmentally responsible office products at competitive prices. We are continually striving to minimise the impact our activities have on our eco system by means of regular audits and a programme of continuous development. We encourage our customers to order online, and where possible to consolidate orders thereby reducing the environmental impact of deliveries and packaging. We aim to make it easier for our customers to make conscious buying decisions by highlighting the products within our catalogues that are eco friendly and by constantly increasing the number of ‘green’ products available to you. 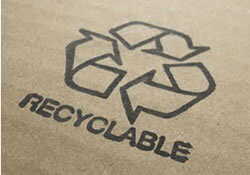 One of the simplest ways to reduce the impact of your business on the environment is to purchase green office supplies. We work with our customers offering guidance on how to make the switch to eco products. By undertaking a free no obligation ‘green review’ on your core list we suggest environmentally responsible alternatives to your most used products and work to ensure that you are not compromising on the price and quality of your stationery. We are committed to working in accordance with our customers environmental policies to reduce their impact on waste (in accordance with the WEEE Directive) and carbon emissions. We have helped a number of our customers increase their environmental performance by undertaking waste audits, and setting targets for reducing waste as well as establishing waste collection services for recycling. BOSS NOVUS stocks hundreds of environmentally friendly and fair-trade products. Our Green Book is an exclusively ‘green’ catalogue that allows you to source everything you need to supply your office from a range of products that are made from recycled materials. Our Warehouse Team uses sophisticated planning techniques to ensure we operate our deliveries as efficiently as possible. Our modern fleet of vehicles is fully maintained to ensure we control and monitor CO2 emissions to reduce our environmental impact. To reduce waste, appropriate sized packaging is used for each order, materials are reused where possible and all waste is disposed of responsibly. In accordance with our environmental policy, we ensure that our preferred suppliers source socially responsible products. For example, our selection of office furniture is from manufacturers who source goods from FSC (Forest Stewardship Council) approved stock, while the paper we source comes from sustainable forests. 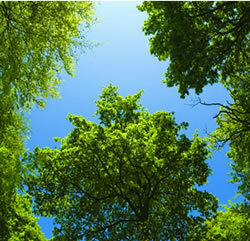 For further information on our environmental policy or any other environmental issues, please contact us.